From Nov 12-14, UFV will join over 100 countries in celebrating International Education Week and Canada’s engagement around the world. 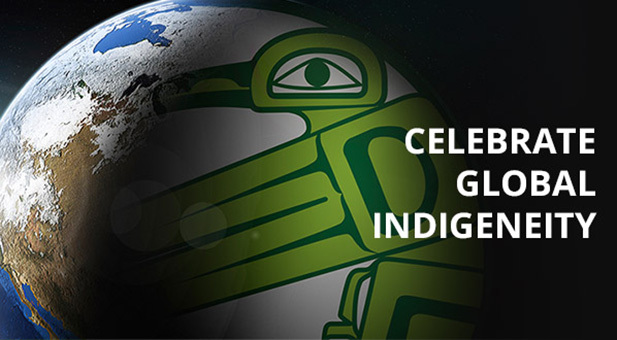 The theme identified for UFV for 2014 is “Exploring Global Indigeneity” where events and discussions will highlight the connections between local and global indigenous peoples, and our interactions and stories shared together. UFV International has collaborated with various departments, offices, and clubs at University of the Fraser Valley to produce a diverse and engaging series of events for the week. The UFV Aboriginal Student Club (ASC) has taken on a great role for the week and is co-organizing the event UFV Talks: Empowering Youth — Local and Global Indigenous Peoples with UFV Student Life. Join us in officially opening the Global Lounge space, dedicated to programing, events, and learning that relates to global competencies and connections. Refreshments served. Experiential learning has long-term educational and learning impacts for the participant. Join current UFV Global Development Studies students Makaela Peters & Bryanna Anderson & Arthur Blackstar, Coordinator of Aboriginal programs from Canada World Youth discussing their experiences interning with indigenous peoples around the world. Join Baker House residents for an international food event that will allow you to sample delectable delicacies from faraway lands. We will serve food and play games from various countries around the world! A $2 fee applies. Come learn about the Métis and the instrumental role they played in shaping Canada as we know it. Join Helena Paul, Stó:lō Nation Community Engagement Hub Coordinator & Spirit of Our Communities (SOC), a group of youth from various First Nations communities in the Fraser Valley. They will present a series of cultural performances not to be missed! Come by the CEP library and learn about indigenous peoples of the world through an interactive display and quiz.